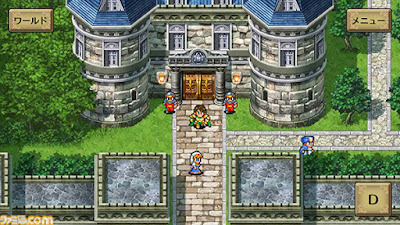 Here's a bit of news I'm guessing will interest about four of you: Square Enix recently announced that it's working on a remake (of sorts) of Romancing SaGa 2 for Android, iOS and Vita. I describe it as a "remake of sorts" because the few screenshots that have been released thus far suggest that this version of the game will retain the 1993 original's character and enemy sprites while the old backdrops will be replaced with ones that are a bit more detailed. The result reminds me of the awesome Final Fantasy IV, V and VI Advance titles Square Enix published for the GameBoy Advance between 2005 and 2007. 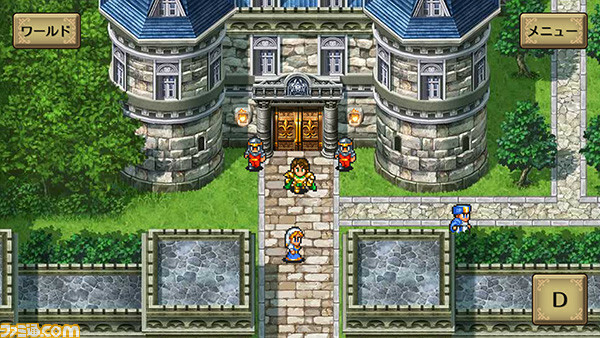 As for when this reimagined Romancing SaGa 2 will be made available to the masses, all that's known at the moment is it'll see the light of day this "winter." 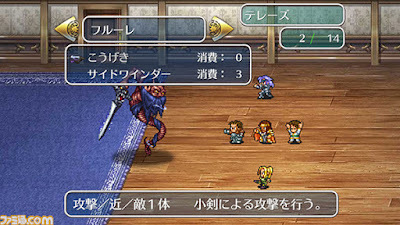 Will the Vita version earn a retail release? I have no idea, but I'm currently crossing my fingers in the hopes that it does. 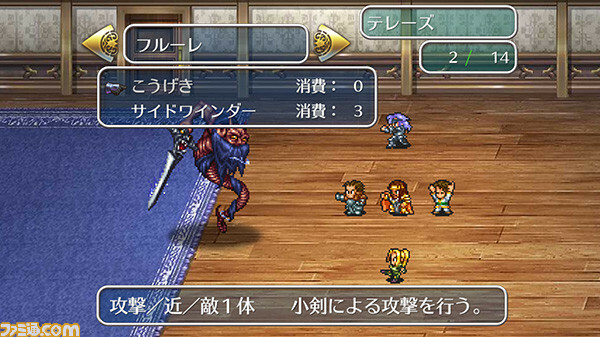 I'm similarly clueless as to whether or not any iteration of the game--which began life as a Super Famicom cartridge--will be localized for regions outside of Japan. If I were a betting man, though, I'd probably put my money on "no way in hell." Will any of you buy it even if it remains a Japan-only offering? If so, why? Also, do you think you'll pick it up for Android, iOS, Vita, or all of the above?